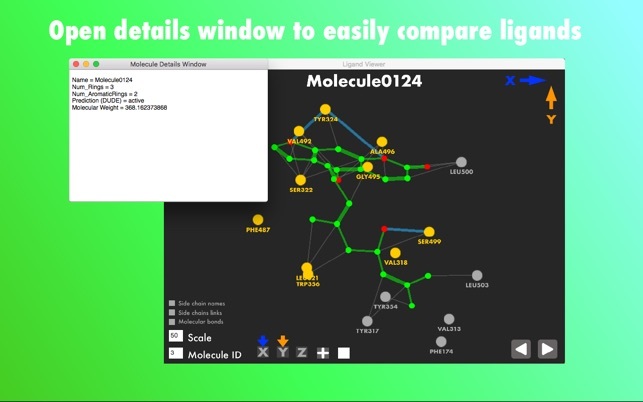 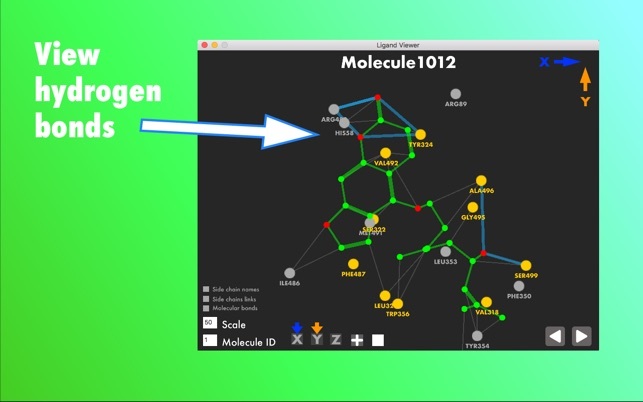 Ligand Viewer is a 2D visualiser that allows you to EFFICIENTLY, QUICKLY and EASILY analyse the interactions and placement of docked molecules within a protein. 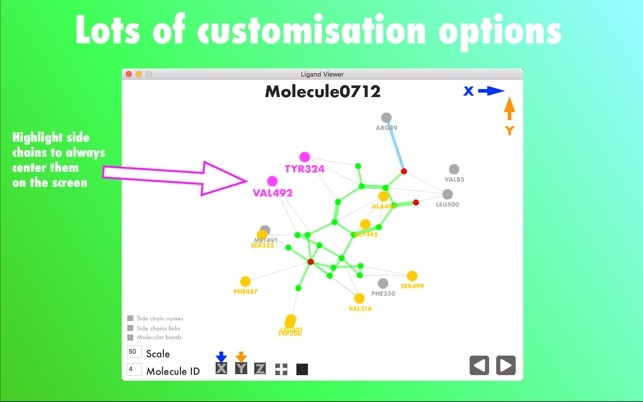 Use and view a large variety of details such as all close side chains, all close hydrogen bonds, a customisable xyz plane, and side chain highlighting to make it easy to visualise how each molecule is docked inside the protein. 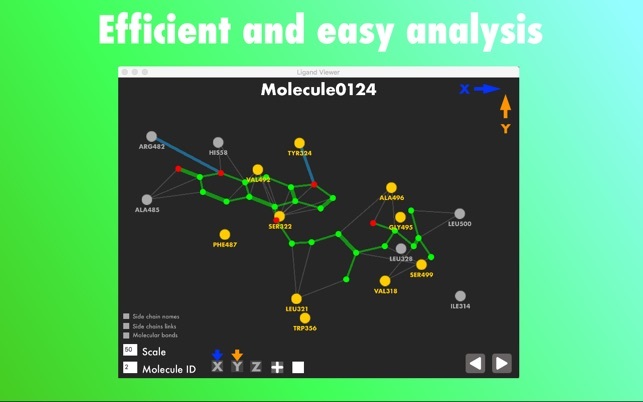 + For each molecule, you can also view its properties that are listed in the sd/sdf file and compare them very easily with other molecules!